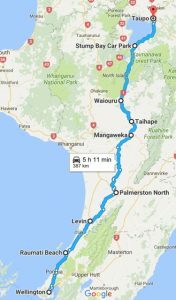 If you’re leaving (or arriving in) Wellington late you might want to stop for a play and some dinner along the Kapiti coast before you continue your journey (arrive at your destination!) 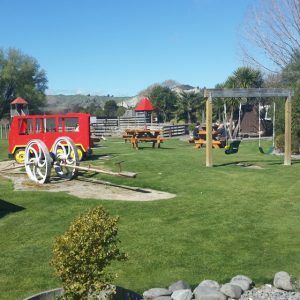 The playground in Paekakariki isn’t too far off the highway and is suitable for all ages. If you have food with you, this is a great option for a picnic. If you don’t, the Fisherman’s Table just south of the Paekakariki turn off has been around for years and is child friendly, with standard pub style seafood meals (address: 29 SH1, open 11.30am – 9pm daily telephone: 04 292 8125). Otherwise a little further north, there’s a splash pad and playground at Raumati’s Marine Reserve Garden’s, also a good spot for a picnic. Raumati also has lots of cafes if you need to pick up a coffee, snacks or meal. 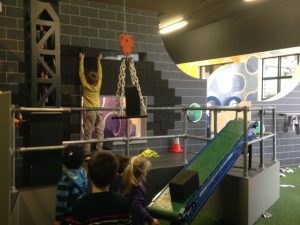 If the weather isn’t good enough for a playground and you’ve packed your swimming togs in a handy spot, you could try the indoor pool in Paraparaumu. 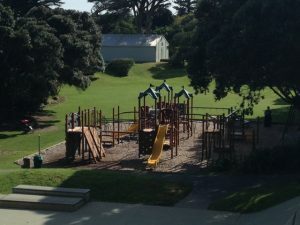 Further north, there’s another excellent playground catering for all ages at Levin. This one has an indoor space for eating if you need it and there’s even hot water zips – useful for warming a babies bottle or if you travel with your own cups and teabags! From here the road splits off to SH3 if you’re travelling to/from Taranaki. Stops include Kowhai playground in Whanganui and the highly recommended Tawhiti Museum in Hawera. 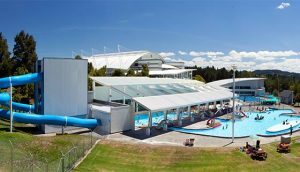 Palmerston North is worth the detour if the weather’s rubbish – there you have the option of a swim at the Lido Aquatic Centre (home to hydroslides, albeit outdoor ones) or the free, excellent Te Manawa Museum (sometimes paid temporary exhibitions but also great, free permanent exhibitions – good for all ages). Just south of Mangaweka, Flat Hills is approximately halfway between Wellington and Taupo and there are multiple things to do here; a cafe, animal park, bouncy castles, playground, lots of grass etc! It’s even open on Christmas Day if you’re driving then. East of Mangaweka along the Ruahine Road you can access the Rangitikei River which has some good picnicking spots as well as options for throwing stones and of course fishing, if you’ve got a permit and some gear. It’s a fast flowing river so, although there are swimming spots, like at the camping ground, you need to choose your place carefully if you plan to go in for a paddle. Have a look here for access points and have sandfly repellent at the ready! If you’re looking to get out of the car in Taihape, there’s Memorial Park in the Domain for picnics and space but also the school next door for a playground on non-school days. A uniquely Taihape experience can be had at the Gumboot Throwing lane! Stretch your legs and have a competition throwing what this town is (in)famous for! 2 cafes have been suggested as being family friendly; there’s Brown Sugar which has the benefit of a covered sand pit outside but if you’re children won’t be interested in that you might want to try Le Cafe Telephonique which is reputed to have better food! Less than 30km from Taihape is the National Army Museum of NZ South of Waioru. With indoor and outdoor exhibits, it’s an all weather place to stop and you might all learn something! 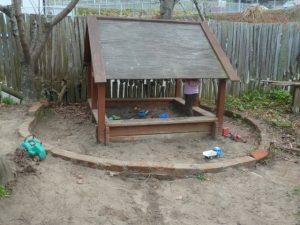 Don’t forget to ask if there’s a treasure hunt for the kids to do. To the north of Turangi, Lake Taupo can be accessed for a swim, paddle, picnic etc down Frethey Drive which leads to Stump Bay Car Park (it’s sign posted for Waiotaka Scenic Reserve). There’s a sandy beach here too. If you’re journey is continuing beyond Taupo, there are several places to stop at here. AC Baths is an all weather stop and will get rid of some energy with the hot pools at various temperatures and hydro slides. There’s a big reserve in the centre of Taupo with some playground equipment especially suited to younger kids although plenty of space for kicking a football around or a game of tag and eating a picnic. Check out the details here.